Vorsteiner announced the first of five 10-year anniversary vehicle, the Range Rover Vertias. 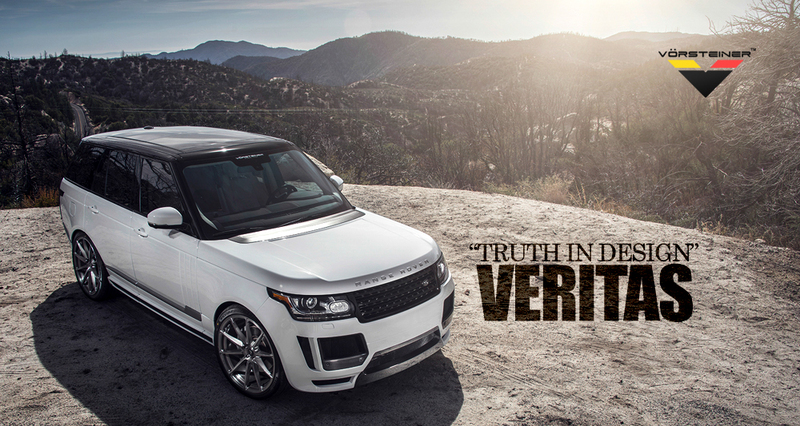 The Vertias transforms the Range Rover into an elegantly purposeful vehicle that features full carbon fiber front bumper, side skirts, and rear bumper. Each carbon fiber piece is produced with an eye for innovation and style, while retaining the factory utility and full capability that each Range Rover possesses. Our bumper are specifically formed to retain all OEM aspects and electronic options. The weave in the carbon fiber is laid by hand allowing the existing PDC (Park Distance Control) sensors, as well as all exterior cameras, to function flawlessly using the factory hardware.